I have had my own exercise ball for about 2 years, if not even longer. In our latest move, my husband threw out the chart that came with the ball that had a chart of exercises I could do using my new ball. After that, the ball simply collected dust on the upper shelf in my daughter’s bedroom. Then the opportunity presented itself to try out the fitness decks. Back when I could afford a personal trainer, my favorite sessions were ones that involved the exercise ball. Since it’s been so long since I’ve used one, I don’t have the balance and patience that I used to have and will have to build back up to that. 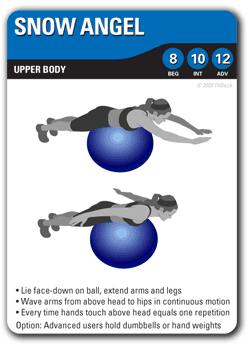 I’ll admit it wasn’t easy doing my first workout with the FitDeck Exercise Ball playing cards. I no longer have a person towering over me telling me to tighten my core or that I’m not supporting my weight on the ball where I should be. Now it’s entirely up to me how much I benefit from using these decks. Perhaps the most appealing thing about these decks is that they can be combined with the other decks. 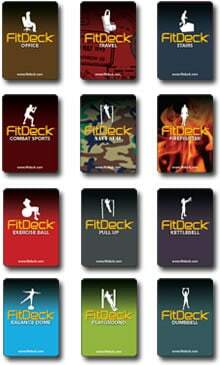 I’ve found the FitDeck website to be very informative in letting me know which decks are best combined with one another. Additionally, the website suggests using the decks during commercial breaks while watching TV (why didn’t I ever think of doing a few crunches instead of running to the refrigerator and grabbing a snack? ), in between meetings at work, and even on an airplane. 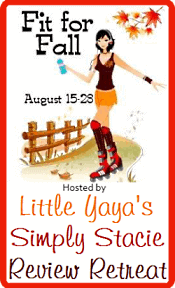 There are seriously no more excuses not to exercise! I plan on making FitDeck a regular part of my day from now on. While I haven’t been using them long enough to see any results, I already feel different. These decks have helped me boost my confidence, feel revived throughout my day, and make smart choices for a healthier future. Hmmm…. This looks like something I need to look in to. Thanks for the heads up!